A think-tank has placed the UK at the top of an international league table of overfishing. But Scottish fishing chiefs insisted last night that the analysis by the New Economics Foundation (NEF) is as much a reflection of the industry’s success in protecting stocks. 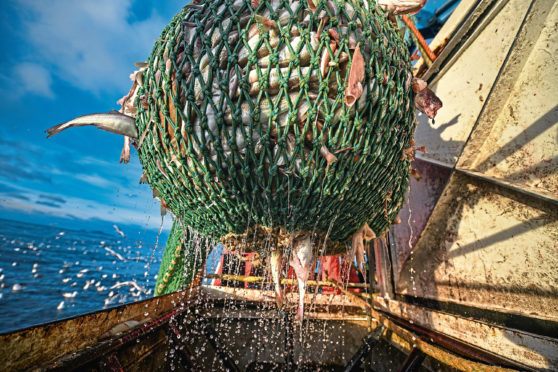 NEF said in its fifth annual report on how quotas measure up to scientific advice – Landing the Blame: Overfishing in the North East Atlantic 2019 – that the UK, Denmark and Ireland were the “worst offenders” in tonnage terms for catch limits set above those recommended by marine scientists. Policymakers delivered UK quotas for 2019 that were 24.3%, or 106,925 tonnes in excess of scientific advice, meaning Britain is by far the biggest culprit for “impeding the transition to sustainable fisheries in the EU”, the report said. But it also highlighted a fall in the percentage by which quotas were set above advice in EU waters between 2001 and 2018, from 42% to 8%. Scottish Fishermen’s Federation chief executive Bertie Armstrong said: “The trend in the last 20 years, as this report identifies, is towards much more sustainable fishing, something that has been driven in this country by fishermen themselves.